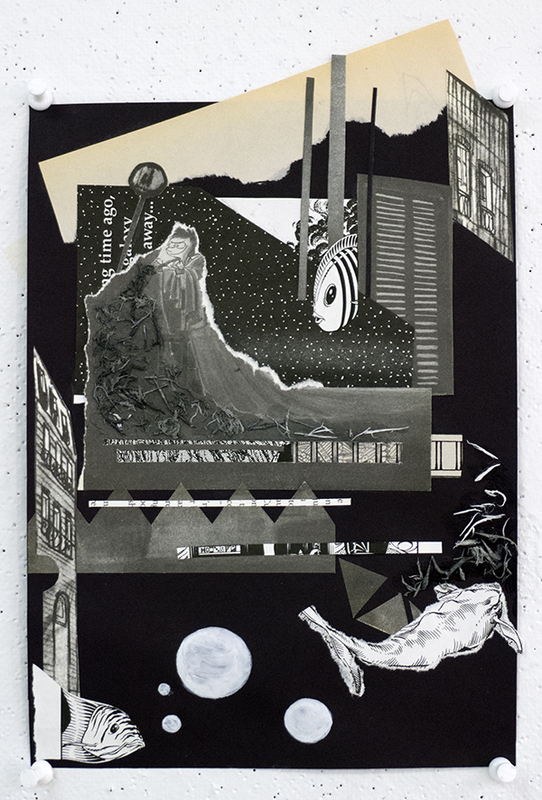 These grayscale collages were created in September by Visual Language students. 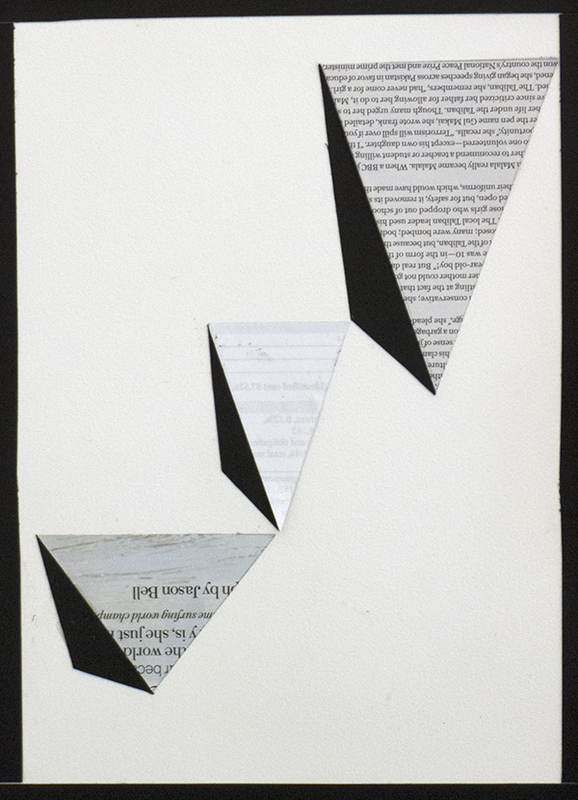 The assignment objective is to explore geometric shapes—rectangles, triangles, circles—and freeform/organic shapes, in combination with contrasting areas of light and dark, and varieties of visual texture. 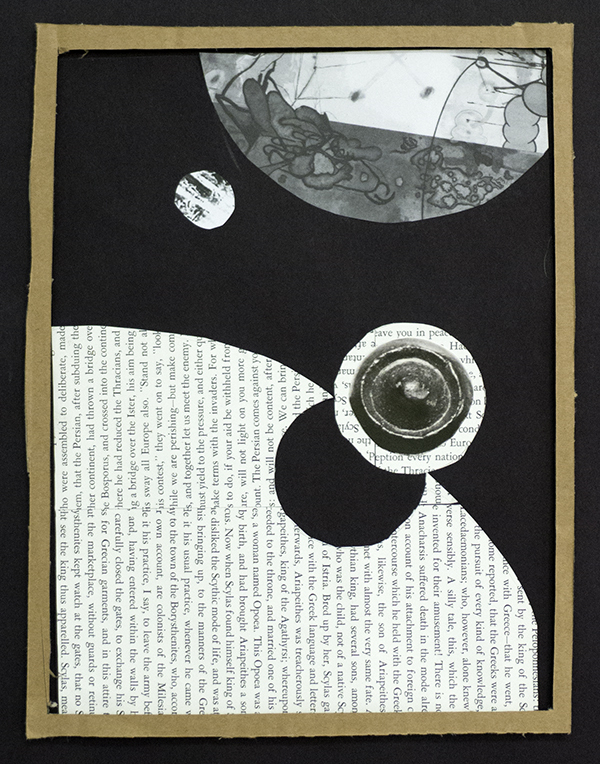 This assignment encourages an awareness of the compositional principles of visual hierarchy and figure/ground.